After offending Cherokee people and doubling down on an indefensible claim, Warren really cannot run for president. I like Elizabeth Warren a lot. She’s probably my second-favorite elected official. It’s only thanks to her that we have the Consumer Financial Protection Bureau, the best agency in the U.S. federal government. She is gutsy, smart, and she cares about the economic well-being of ordinary people. Which is why I am so frustrated that Warren has so badly mishandled this native ancestry issue. These are things Warren should not have done, because she is not a Native American. It would have been easy to apologize. To say that, like many white Americans, she has a family story about being part Native American, and she got carried away with it. Instead, however, Warren has reaffirmed her claim to being part Native American, and said that her mother and father were forced to elope because her mother’s family were discriminated against for being part Native American. Now, Warren has released the results of a DNA test that she claims proves her claim to be part Native American, thereby justifying actions such as listing herself as a racial minority, allowing Harvard Law to claim her as its first woman of color, and calling herself Cherokee. I just want to first make clear why I do think this is a significant issue, even if Republicans care about it only for completely opportunistic reasons. It is wrong to claim an oppressed identity if you do not actually have that identity. Warren has reinforced incorrect conceptions of what it means to be Native American, saying at one point that she “knew her grandfather was ‘part’ Cherokee because ‘he had high cheekbones like all of the Indians. '” Warren has focused much of her defense on proving that she did not get hired or promoted at Harvard because of her claim to Native ancestry, calling many prominent law professors as witnesses. But her claim still allowed Harvard to pat itself on the back for diversity that it did not actually have, touting her as a woman of color. This makes it more difficult for actual Native women to succeed: If Harvard believes it has a Native American law professor, when it doesn’t, then it will not feel pressured to create an opportunity for an actual Native American law professor, even if Warren was hired solely because of her contributions to bankruptcy law scholarship. There’s also something a little disturbing about the way Warren has defended herself by insisting that she didn’t benefit from affirmative action. A Warren spokesperson asked about the claim replied that “at every law school where Elizabeth was recruited to teach, it has been made absolutely clear she was hired based on merit; on her accomplishments and ability.” Warren herself said: “I am a hard-working teacher, I have won teaching awards, I’ve written books that have won acclaim.” I don’t doubt this is true. But I don’t like this framing, because it adopts the conservative line on affirmative action: Some people are hired based on “merit” and other people are racial quota hires who do not have “merit.” Warren wants to prove that, unlike someone who was hired in part for their Native ancestry, she was hired solely on her Merit. To me, that insults anyone whose race factored into a hiring decision. There are also serious problems with presenting a DNA test. First, if the test proved anything, it proved the opposite of what Warren said it proved, showing that her claimed ancestry is almost negligible at best. 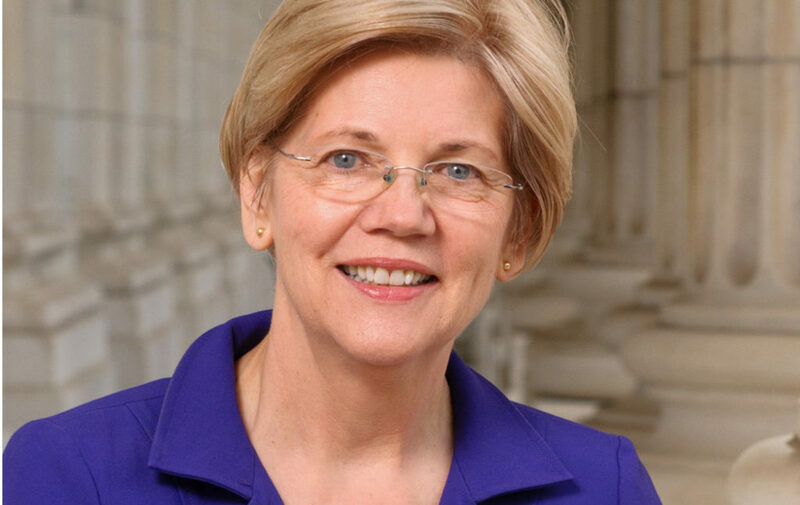 The test showed Warren to have between 1/64 and 1/1024 Native ancestry, with one ancestor six to 10 generations ago, meaning one person probably in the 18th century and possibly as far back as 1700. 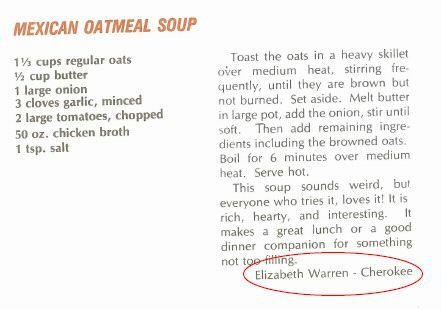 By this standard, a very, very large number of white Americans could list themselves as being “Cherokee” in the tribal cookbook. What is beyond maddening is that, as Native people, we are relegated to being invisible, while Warren is not. As a mixed Native woman, I have to relive the racist stereotypes Warren spits out to defend her alleged Native identity everyday. People constantly ask me, what part Cherokee are you? Who in your family was Cherokee? That’s so nice that you embrace your Native heritage. I am not part Cherokee. There is not one member of my family who was Cherokee. I am Cherokee. I am an enrolled citizen of Cherokee Nation and a member of my home and urban Indian communities. We are living, real, and whole people; not fractions of Indians who used to be real. I also recommend Briahna Joy Gray’s article about this issue in The Intercept, which goes into more depth about the ethical problems with Warren’s actions.